Buy this and your school gets €1.55 to spend on books Orders of €10 or more will earn 25% of your order value back in Scholastic Rewards for your school. Lost in a dark, spooky forest! 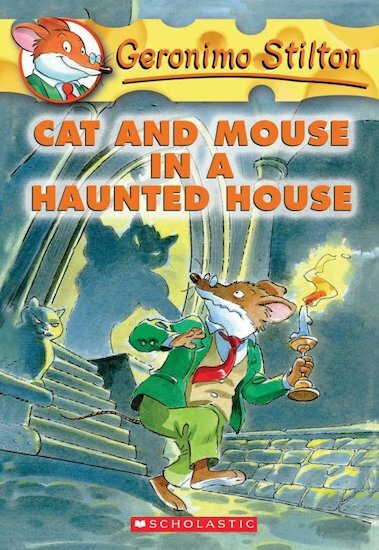 It was something that could only happen to me, Geronimo Stilton. Until I stumbled upon Curlypaw Cannycat’s Castle. I quickly discovered the castle was haunted – by cats! Let me tell you, this is one case where curiosity almost killed the mouse. 410L Lexiles are the global standard in reading assessment. They are unique as they are able to measure a child and a book on the same scale – ensuring the right book gets to the right child at the right time.